Started in 2012, Kajot Casino is has continued to provide online Casino players with a platform to enjoy exciting and rewarding slots. The Casino is owned by Pro Xenon Mediathek Ltd. Casinos and is regulated by the Malta Gaming Authority. Although the Casino has not been in the online gambling market for long, the Casino has already made a name for itself. Other than the thrilling assortment of games available, players can also enjoy alluring bonuses and promotions, a 24/7 customer support team, and a robust client information protection protocol that is offered by the Casino. Kajot Casino has an amazing deposit and non-deposit welcome bonus package that is meant to usher in new players to the site. After signing up and validating your account, the Casino gives you a €5 welcome bonus that has a ten times wagering requirement. Upon the first deposit, the Casino offers you a 200% bonus of up to €500. The Casino also has various in-play promotions for the players. So, make sure that you regularly check out the promotions section of the Casino. Kajot Casino has a rich selection of slot games that are developed by Xatronic which is the sole software developer of the Casino. 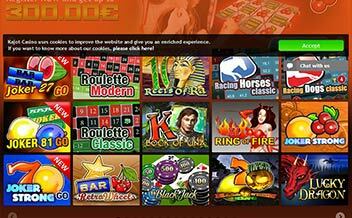 The slot game section is tailored to ensure that the players have an amazing experience while playing. The games include Nitro 81, Lucky Pearl, Submarine, among others. Though not in plenty, the Casino has also looked into the needs of the table game fans. The few table games can be attributed to the fact that the Casino only has one developer. 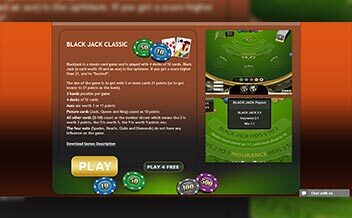 The only table game that is available for players is a single variant of Blackjack. Kajot Casino also has a list of rewarding video poker games that will surely leave you at the edge of the seat. The games in this section guarantee players’ big winnings. Some of the common video poker games include Deuces Wild, Aces and Eights, and Aces and Faces. Kajot Casino is solely powered by Xatronic AG of Austria which provides a fairly vast selection of thrilling online Casino slots for players to enjoy. The Casino’s software is unique and easy to navigate and is proven fair by GLI. The United States, Poland, Singapore, Italy, the United Kingdom, Portugal, and France. Bank Wire Transfer, Maestro, Skrill, Paysafe Card, Master Card, Visa, Neteller, mBankomat, EPS, among others. 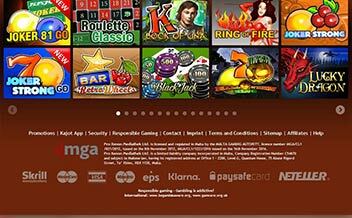 Kajot Casino supports the use of the major web browsers such as Opera, Mozilla, and Chrome. 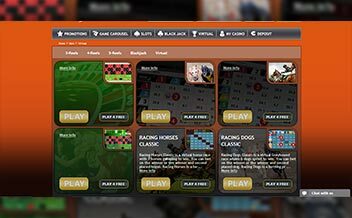 The Casino is also entirely available on instant play meaning that players do not have to necessarily download any files to enjoy their favorite games. The Casino represents a new and fresh offering that is not produced by the popular “greats”. With a fairly vast selection of games, a strict client protection protocol, and 24/7 customer support, this Casino is surely worth a try.